← Bonus Post: Let’s Have a Kiki! 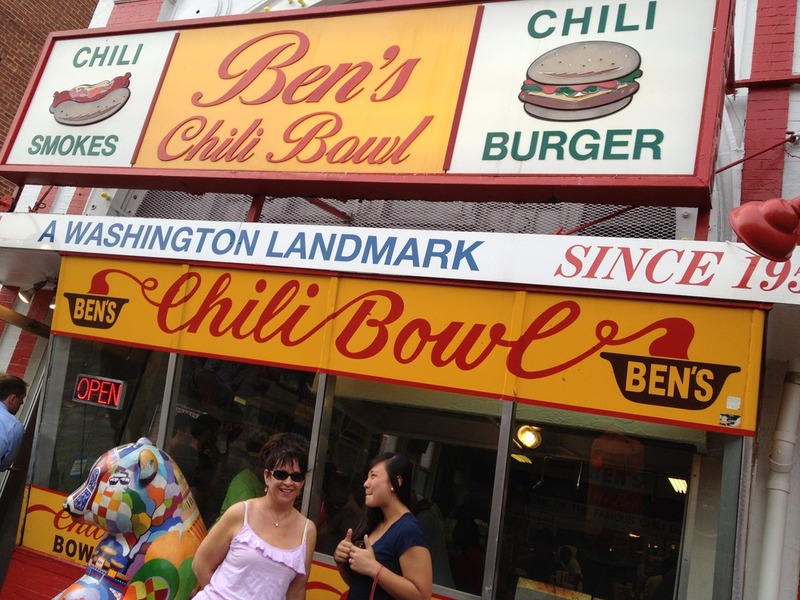 Ben’s Chili Bowl is a Washington Landmark. It says so on the sign above the door. We chose a good time to visit because it was Happy Hour at Ben’s Next Door so we were able to enjoy our chili dogs without waiting in line and with a cold adult beverage at a more than reasonable price. It’s easy to see why presidents and Food Network hosts dine there. 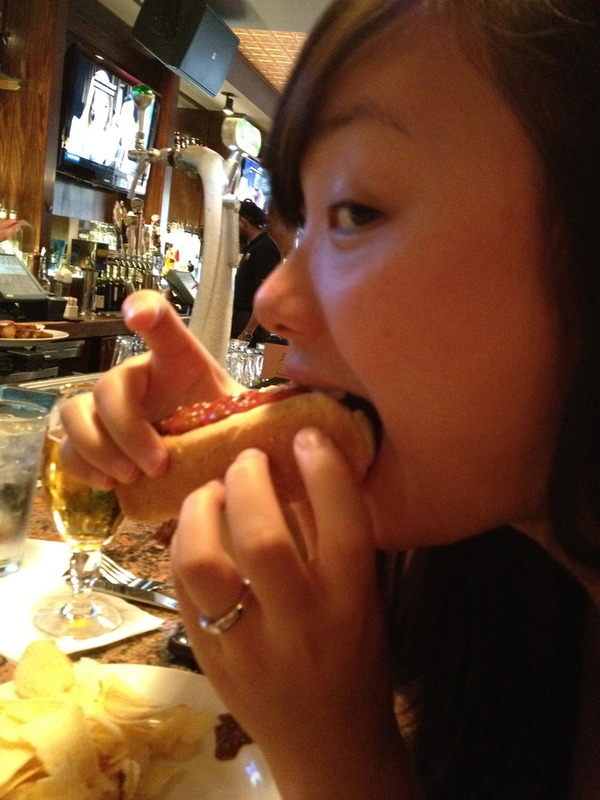 The dogs are delish! Afterwards we headded over to Policy in time to catch the semifinals of the District Karaoke Championships. This is a league where teams compete and boy howdy do they spend some time plotting their strategy! 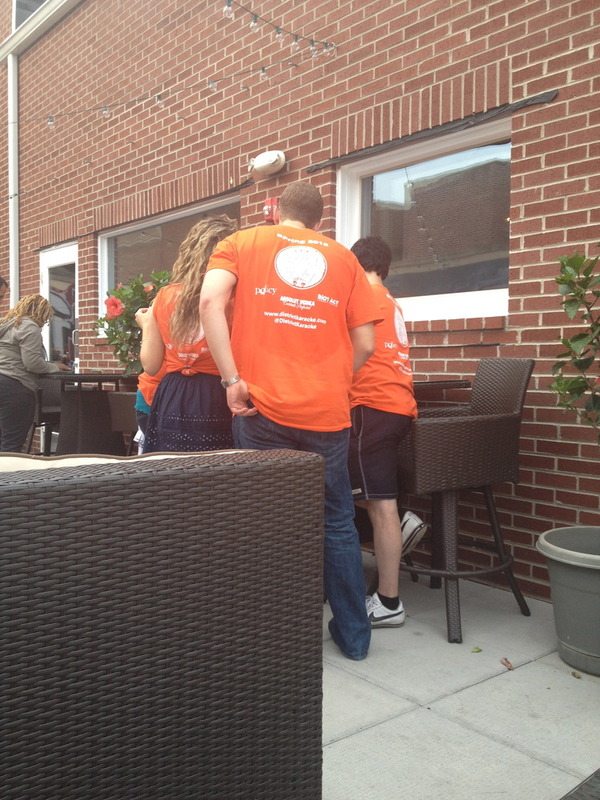 We sat on the rooftop patio listening in for a bit and watched until the competition began, then we headed indoors to enjoy. Sharlene found us a semi private booth to witness the fun. My favorite performer turned out an espicailly moving rendition of What’s Love Got to Do With It. 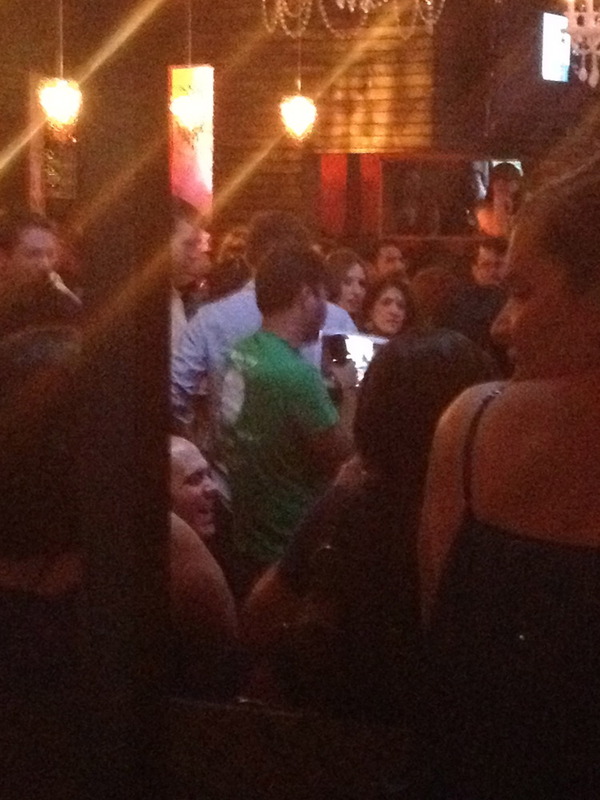 He performed while carrying around an iPad with an Anderson Cooper slideshow. Touching and topical. I hope he won, though we didn’t stay for the announcement of the finalists. We met up with Monica and headed over to Masa 14 where we scored some prime window seats and engaged in our favorite hobby of people watching. There was plenty to see with what seemed like a huge chunk of the population strolling by or stopping in. 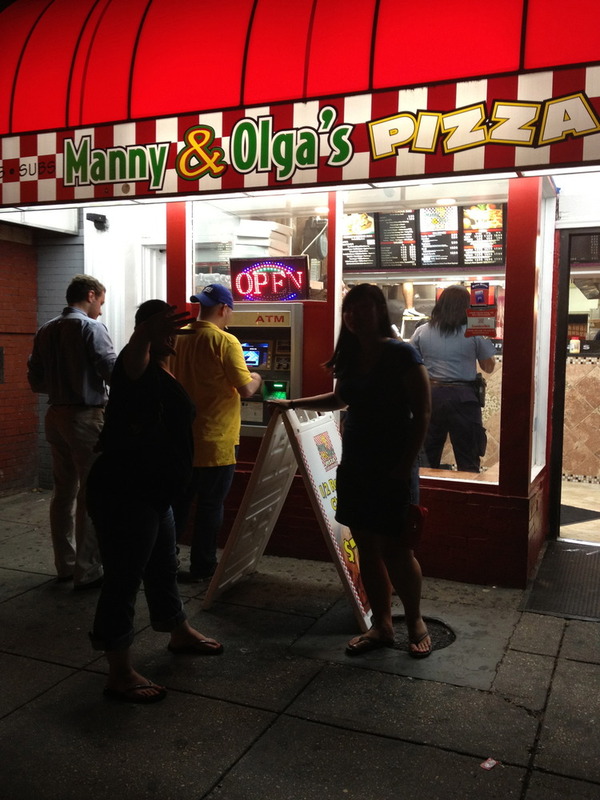 Afterwards, we stopped at Manny & Olgas to get a slice before walking Sharlene home. 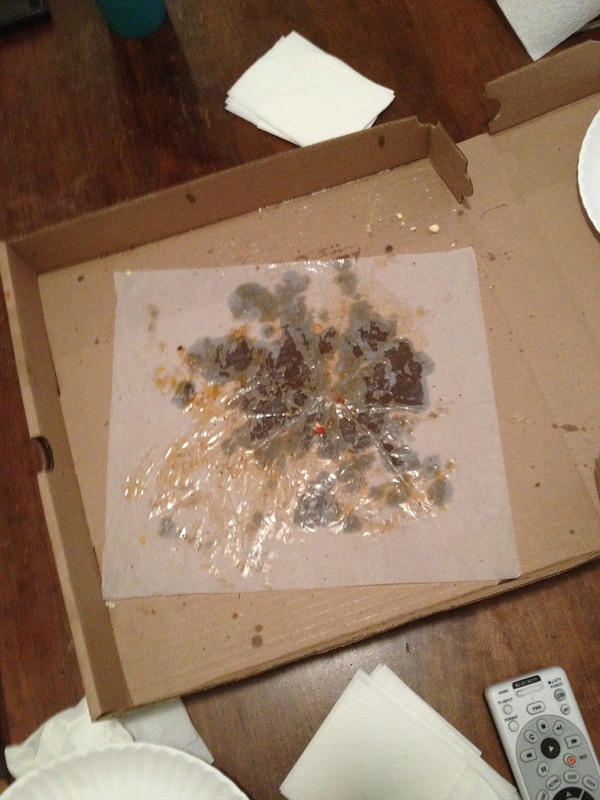 The slice morphed into an entire pizza and Sharlene and I enjoyed watching Monica and Evelyn harass the ATM users while we waited. 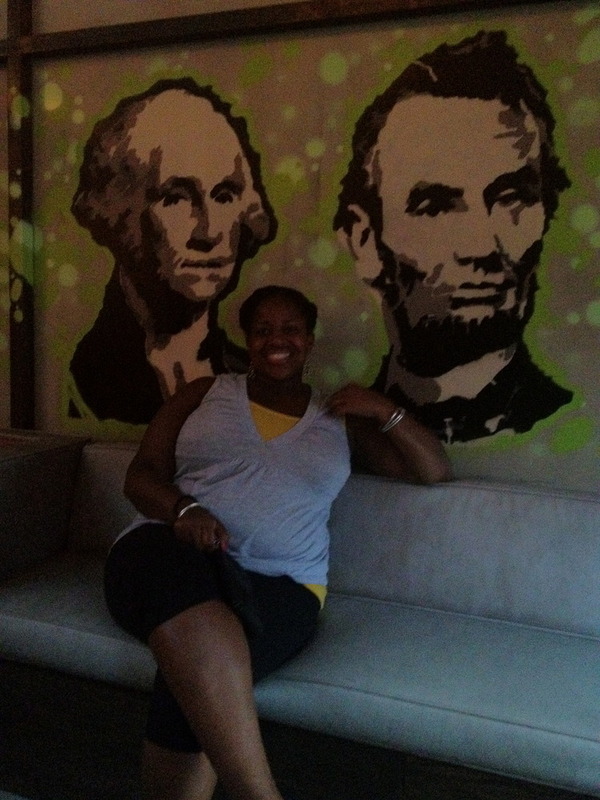 Once again a fantastic night in the District and another check off on the bucket list! It’s good to be me!